Hunters is one of the UK’s fastest growing independent estate agency groups and has expanded its reach in the northeast, where it has opened an office in North Shields. Daniel Mole, the Franchise Owner of Hunters Estate Agents and Letting Agents North Shields founded DL Mole in 2010 with his wife, Helen. 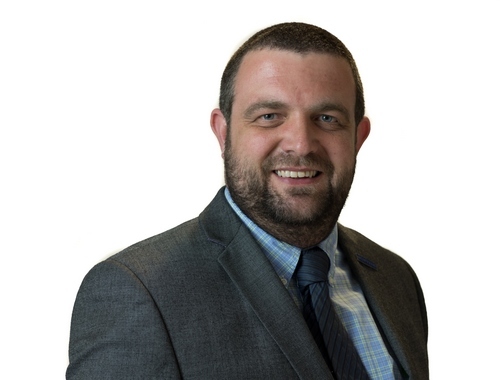 As a thriving sales and lettings estate agency, Daniel has managed a successful lettings portfolio and has been responsible for many investor and first time buyer sales in the local area. In taking the opportunity to join the Hunters network, Daniel, Helen and their team will continue to offer a full sales and lettings service with the same enthusiasm and service levels, and combine existing skills and local knowledge with the Hunters brand. If you’re interested in finding out more about the services that Hunters Estate Agents and Letting Agents North Shields has to offer, call the team on 0191 290 6000 or visit the branch at Unit 1, Protection House, Albion Road, North Shields, NE30 2RH. If you are cuirrently looking in the area, why don't you visit our local area guide page here? Visit our Google+ profile where you'll be able to see recent branch reviews and have the option to write and leave your own review. Click to view preferred suppliers for Hunters North Shields. VAT Reg No: 988 3274 63 | Registered No: OC353783 | Registered Office: 173 Trevor Terrace, North Shields, Tyne and Wear, NE30 2AX. A Hunters franchise owned and operated under licence by DL Mole LLP. Situated on the banks of the River Tyne, North Shields was once at the very heart of the coal-mining and ship-building industry. The town has since undergone an extensive renovation programme and today is a popular residential area for professionals commuting to Newcastle upon Tyne and Sunderland, as well as families looking to settle in the nearby picturesque seaside town of Tynemouth, with its blue flag beaches, good schools and array of independent cafes, boutiques and the weekly Farmer’s and antiques markets.